Program will run June 5, 2019 - July 3, 2019 from 8am - 12pm. Remember when registering for an account, the district name is: Hawaii. 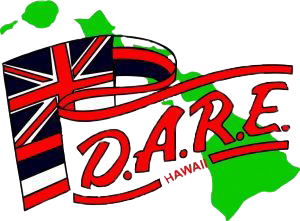 A BIG Mahalo to Officer Darley for guiding all these students through the D.A.R.E Program. Spectacular Job 6th Grade students! Market Day was quite impressive with all the awesome ornaments, crafts, paintings, decorations you all have worked so hard on all quarter. Thank you to all the Parents, Teachers, Staff, and Admin who came out to support the 6th Graders. Mahalo to all the Kindergarten Teachers for taking some time to get their students performance ready. Thank you to all the Parents, Guardians and Staff that stopped in to watch them perform. Happy Holidays! A big Thank You to all the participants of the 2018-2019 Spelling Bee. Job well done representing your classroom. Thank you to all the Special Guests and Parents that attended last night's special event for this year's new inductees for NEHS. and we will get back to you with more information. If you are interested in volunteering, please fill out the online interest form so we can notify you for all volunteer opportunities. The initial inspection of our school was conducted a number of years ago and identifies some asbestos-containing materials. Since that time, we continue to conduct periodic surveillance and re-inspections to ensure that the asbestos-containing materials remain in good condition and do not pose a hazard to our students and staff.